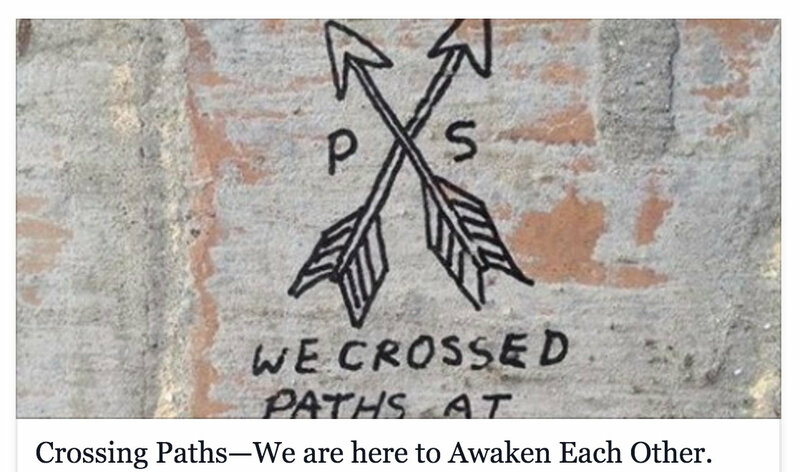 Home / Other / Relationship / spirituality / Crossing Paths—We are here to Awaken Each Other. 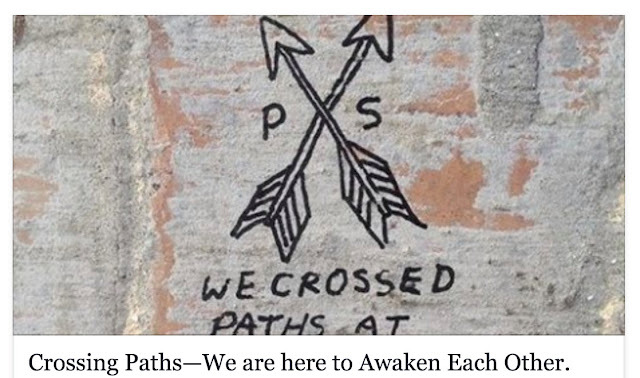 Crossing Paths—We are here to Awaken Each Other. Who said we can only find answers through lovers, friends, acquaintances or family? Sometimes a complete stranger can answer our questions and give us insight with an inspirational direction. The other day I went to a coffee shop all by myself. As I was having tea, I contemplated life. I was thinking particularly about why we meet certain people. As I was drowning in my own thoughts, I heard the word “Buddhism” coming from a girl who was sitting at the table right in front of me. I am not normally the type of person who eavesdrops. When I am alone in particular, I literally build my own cocoon, thoroughly forgetting the world around me. However, her conversation caught my attention, especially since it seemed to tackle Buddhism, which is one of my interests. The girl was sitting with two friends and telling them about a man who she met at the airport. That man was a Buddhist. She started telling them about how he talked about suffering, attachments and conditioning. He explained to her how human beings are conditioned and refuse to think outside the box. He tackled God, religion and life. He spoke about consciousness and mindfulness. To me, this man sounded interesting. Without even meeting him personally, I could feel the intensity and wisdom that his words exuded. After speaking with this man for awhile, the girl had an epiphany. She told her friends that this stranger had awakened her in some way. She swore that she had never before acknowledged anything of what that man had told her. He opened a portal for her. She experienced intense awakening—crying loudly when she reached the plane. She’d been sleeping for years and now she’d woken up. As they both departed from the gate, the girl thanked the man. Instantly, I had an epiphany myself. During the whole conversation I had been concentrating on my cup of tea. When she said this, I suddenly looked at her. To my surprise, she looked back at me and smiled. Then she continued the conversation with her friends. That line was intensely true. We come to this life to free each other. Looking back at my own life, I’ve crossed paths with so many people that no longer permeate my days. My destiny is not permanently tied to them. I’ve blamed so many and held grudges against some. I’ve been filled with regret, blame and hatred. That hatred was mostly for myself. I hated myself for allowing toxic people to destroy my life and self. At other times I hated myself for destroying theirs. if it weren’t for them and they wouldn’t be who they are today if it weren’t for me. The truth is, there are no accidents in this life. Every single person who we meet is meant to cross our paths. I utterly believe that our sole purpose in this life is to reach awakening. Our goal is to recognize the flaws that we have absorbed throughout our growth and to rise above them. Our aim is to love, be selfless and be kind. Nevertheless, we can never do this alone. We can never recognize our flaws just by looking at a mirror. We can never realize our good deeds if we don’t go through the bad. Hence, the universe places people in our life at the right place, right time. Although things may look barren on the surface at the time, deep inside a remarkable change is unfolding in us and the other person. Most of the time we lose people. Either we mess up with them or they mess up with us. We lament the loss and wish we never met them. However, if we put our emotions aside and are a little bit more aware, we will be shocked with the results. We realize that we met each other to help each other reach awakening. We meet others on the spiritual path, despite the fact that everyone walks it and perceives it differently. Every one of us has a couple of people who never leave our mind. They may be a friend, an ex lover, a family member or a colleague. Things might have gone awry with them and maybe we no longer talk to them. No matter how the ending took place, we should look beyond grudges. That person changed us for the better. We changed that person for the better. We contributed to each other’s spiritual growth. The people we have lost are the very ones who opened our eyes to our flaws. We opened their eyes to their flaws as well. Hence, never regret, never blame, never hate. Instead of focusing on the agony, let’s focus on how we’ve evolved. Let’s focus on how our soul has been nourished, thanks to others. Sometimes, just like overhearing the girl in the coffee shop, we meet people for a short period of time and they are able to change our whole being. Whether it was a stranger who spoke briefly to us or a lover who we shared our whole life with, know that every soul that shows up in our life for a reason. We can keep freeing others while enjoying our own freeing.